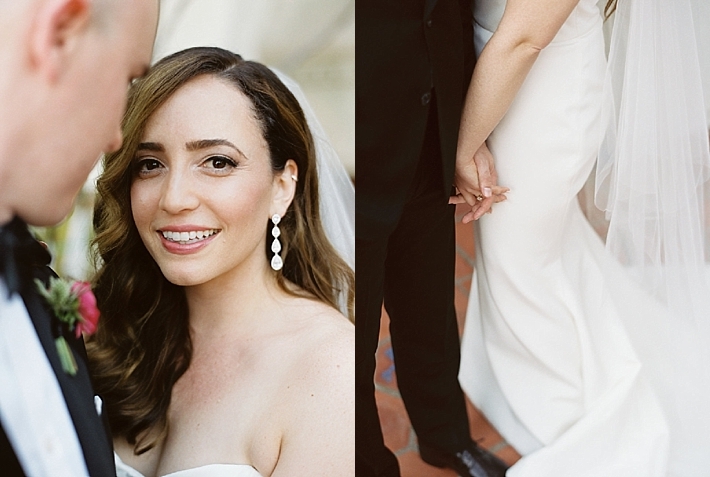 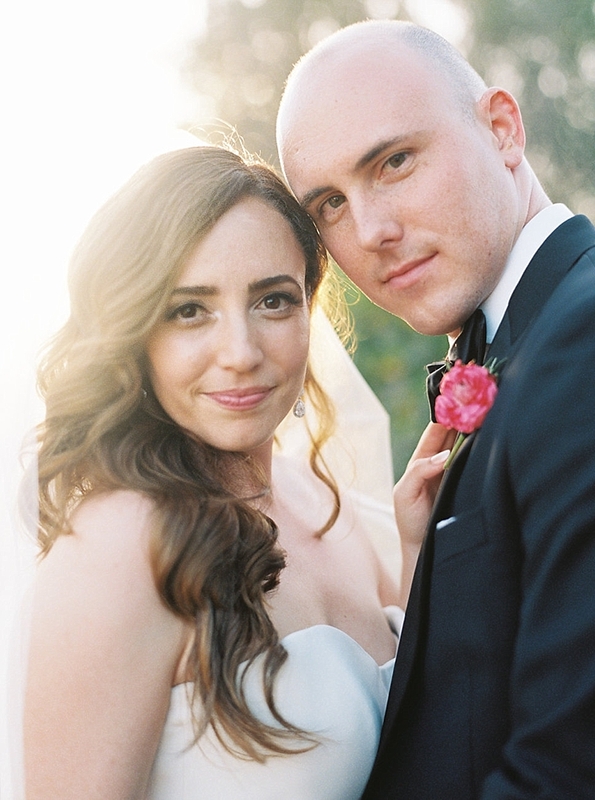 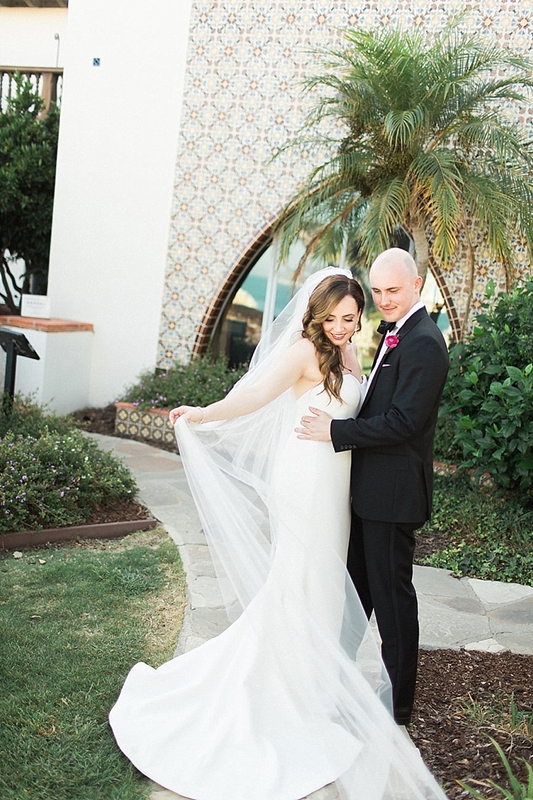 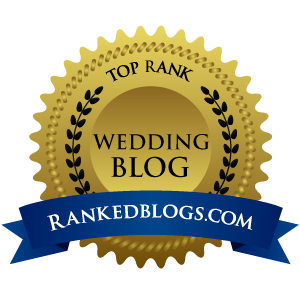 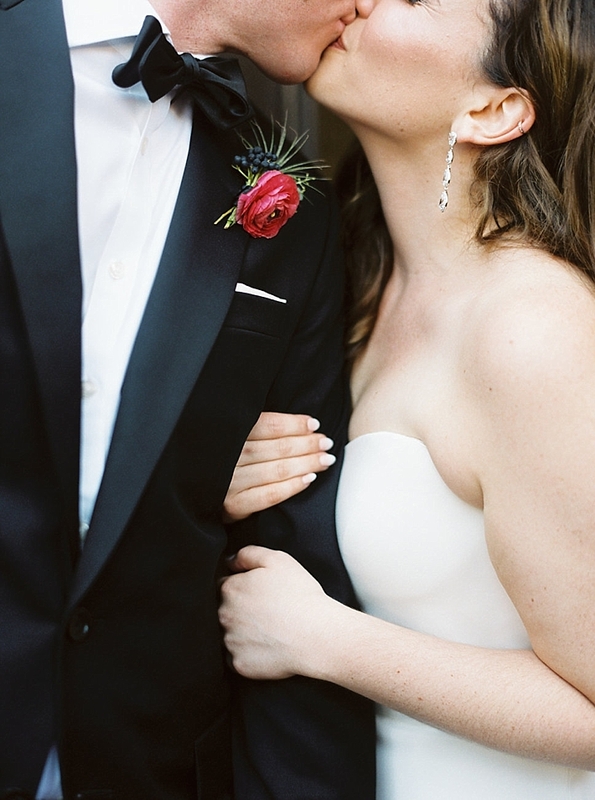 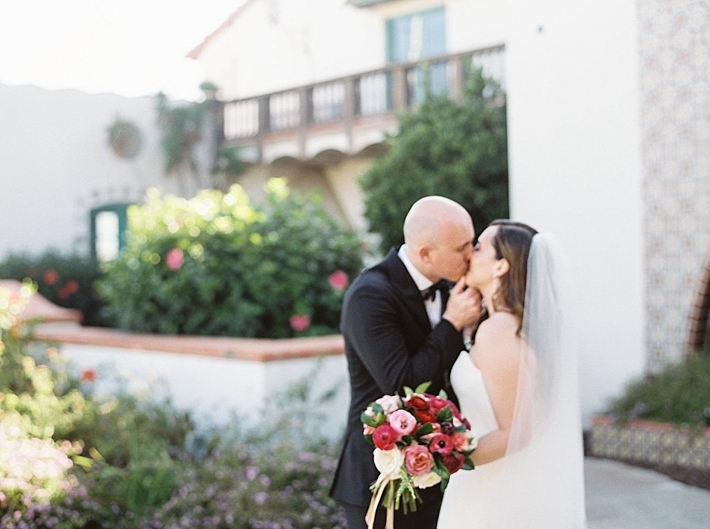 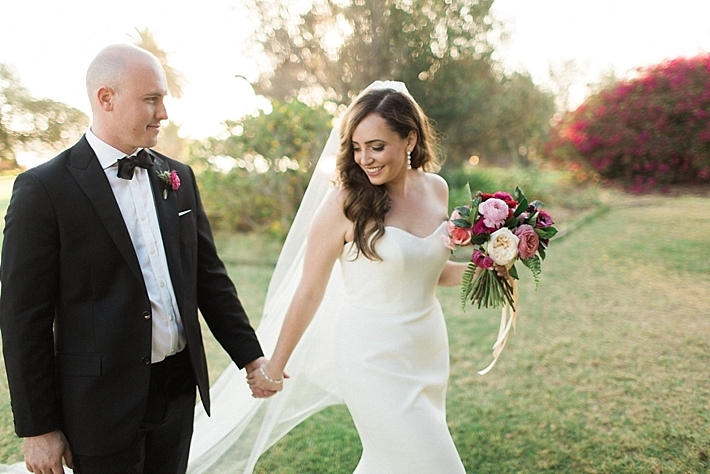 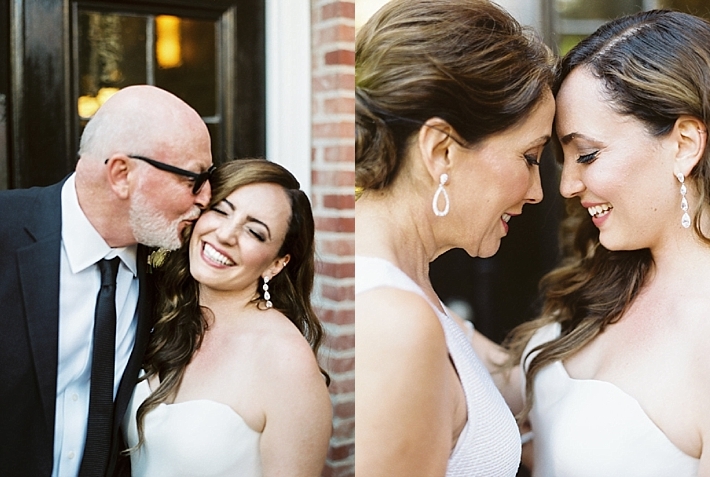 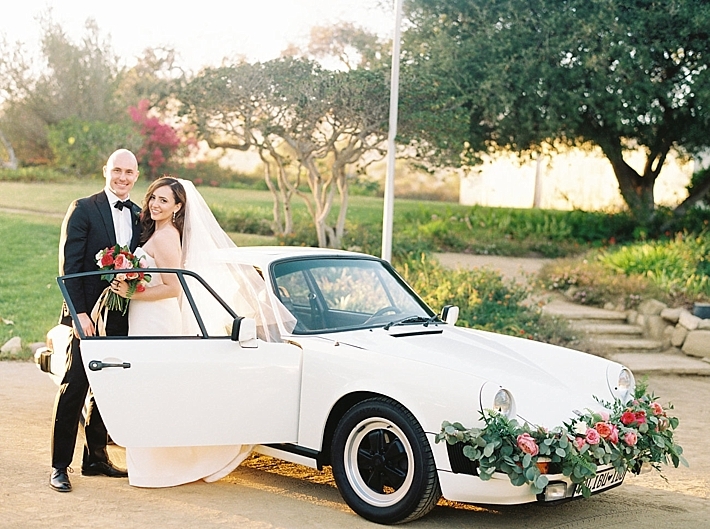 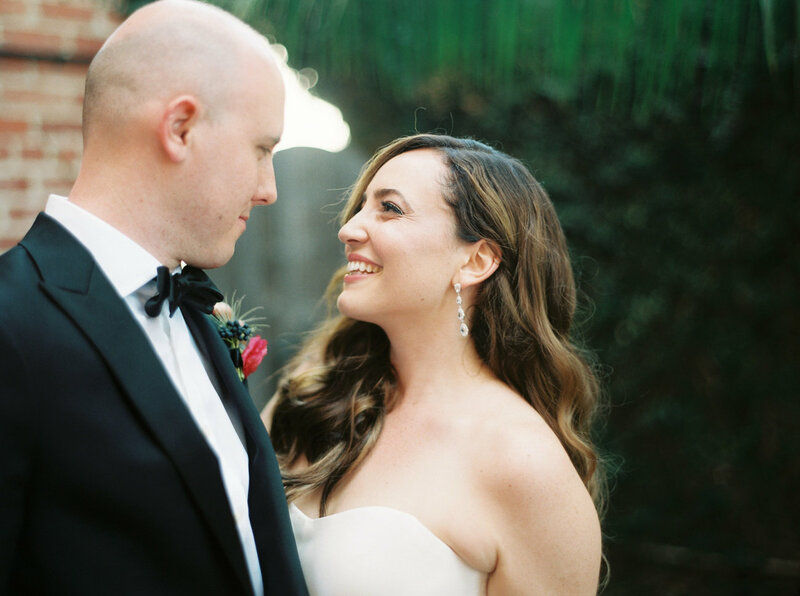 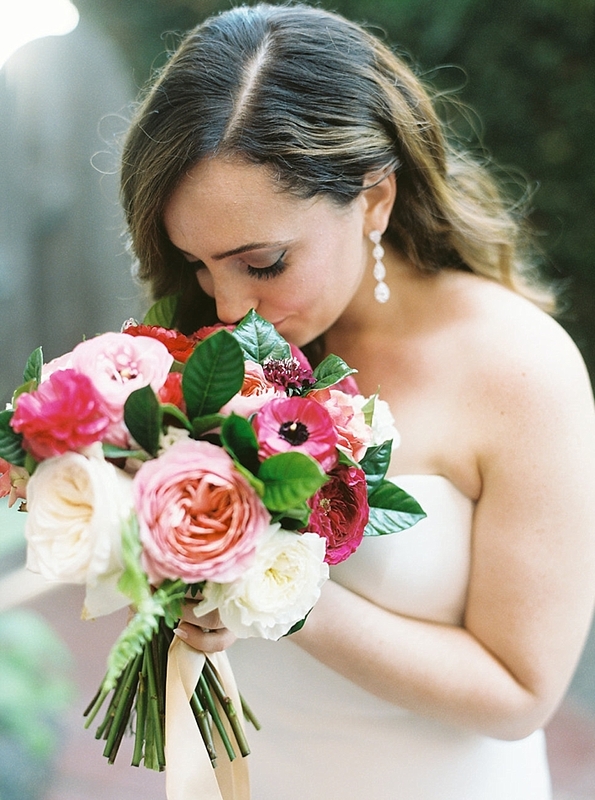 "Jennessa and Josh's love story began on the East Coast in New York where they both work, but with the bride Jennessa from California, it was only natural to celebrate their wedding on the beautiful California coast. 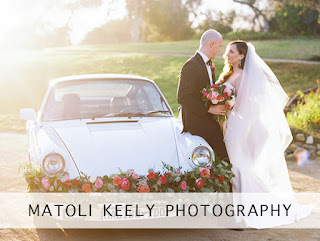 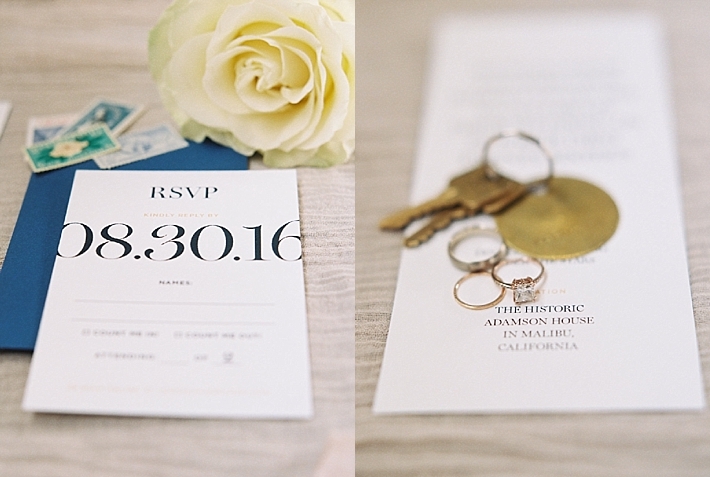 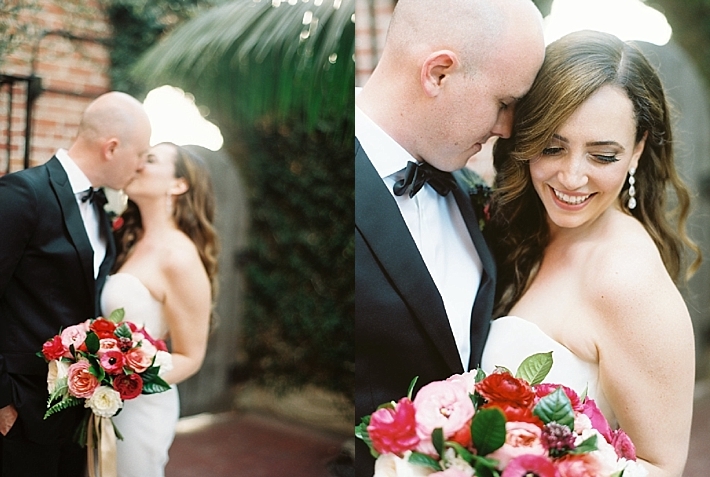 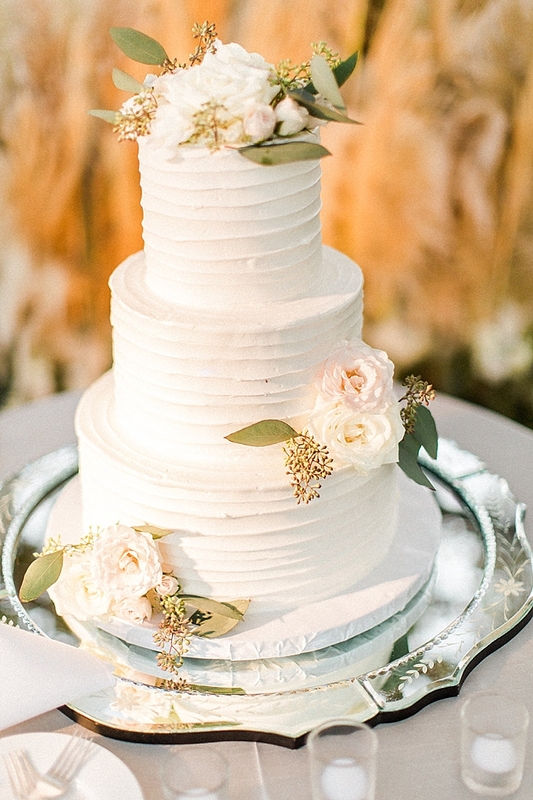 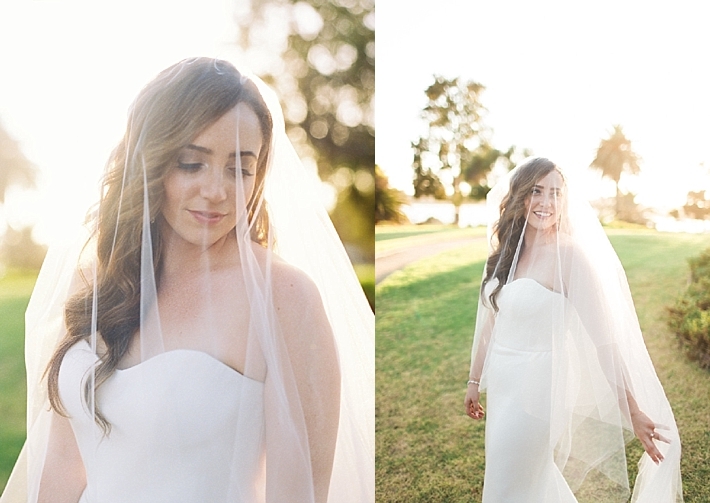 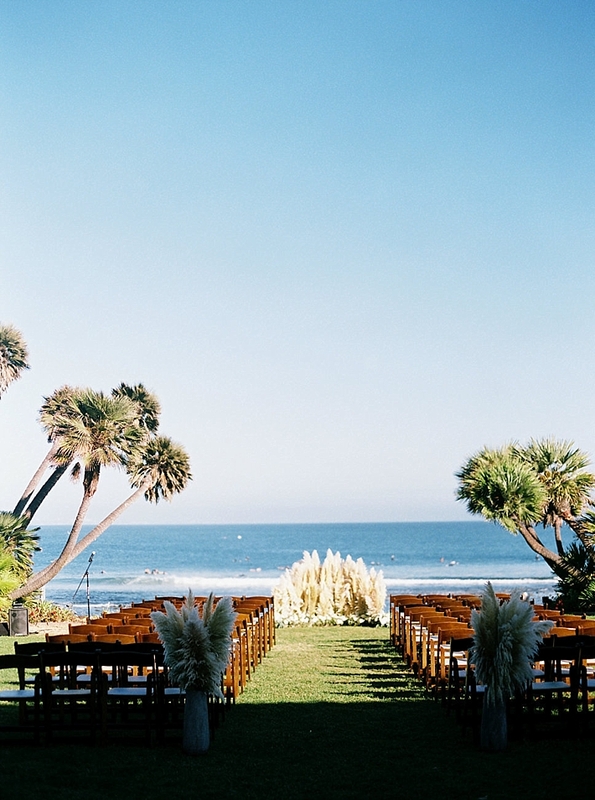 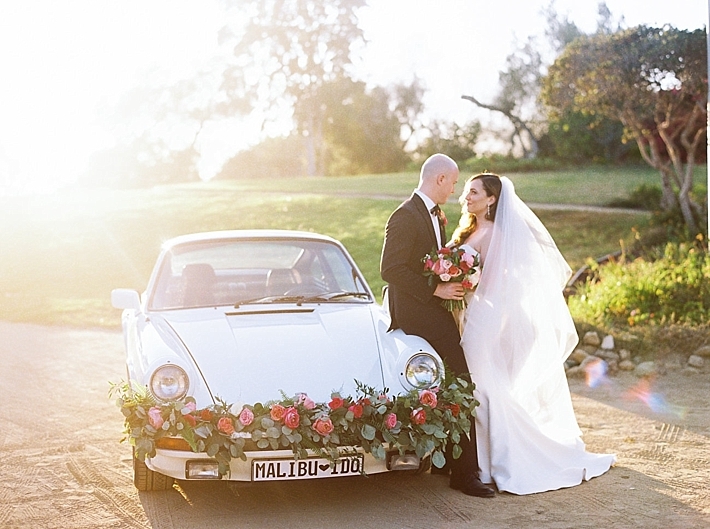 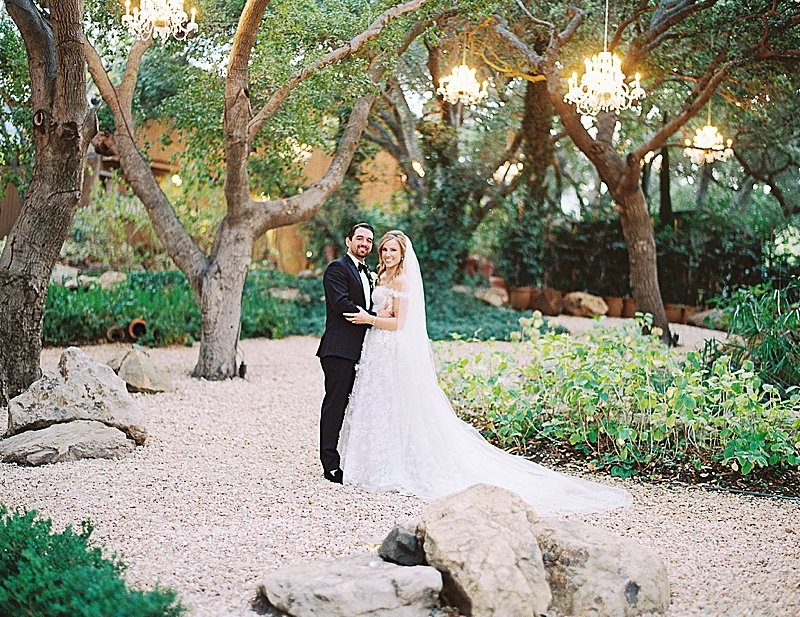 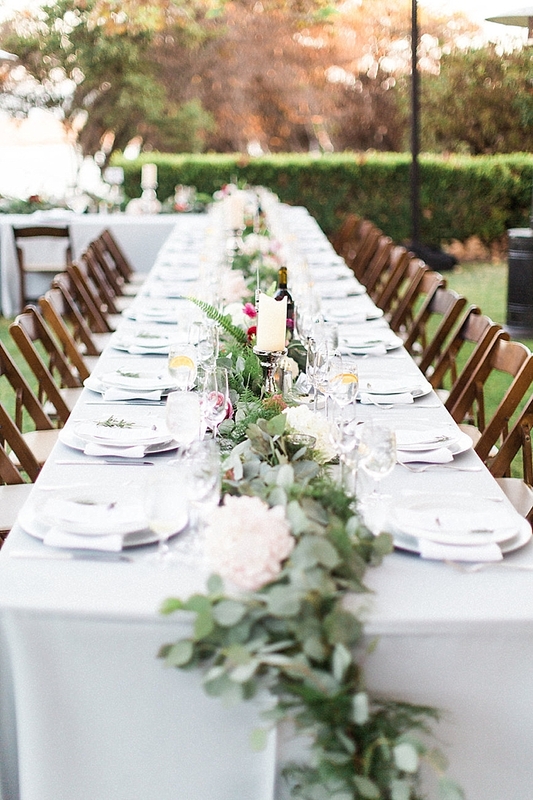 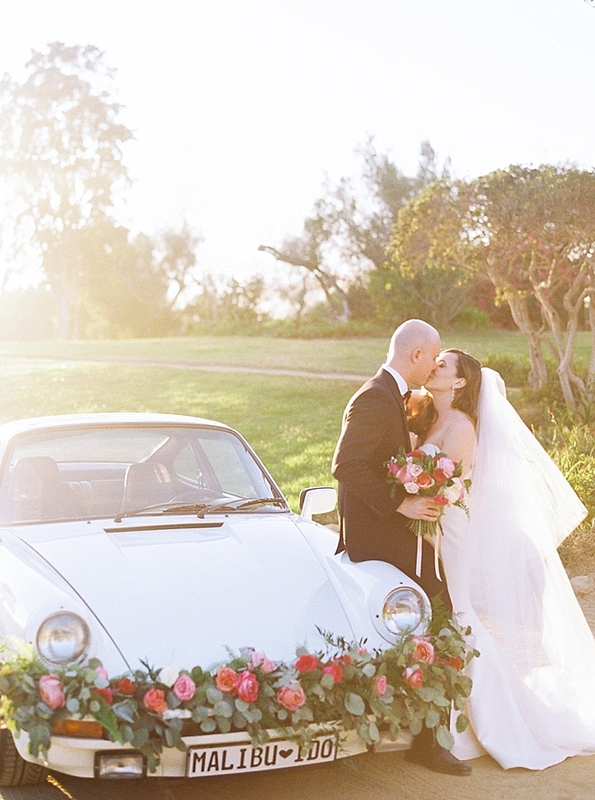 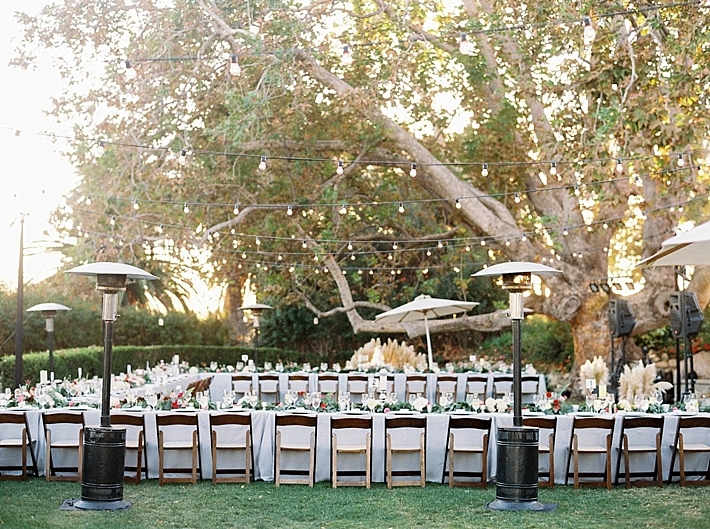 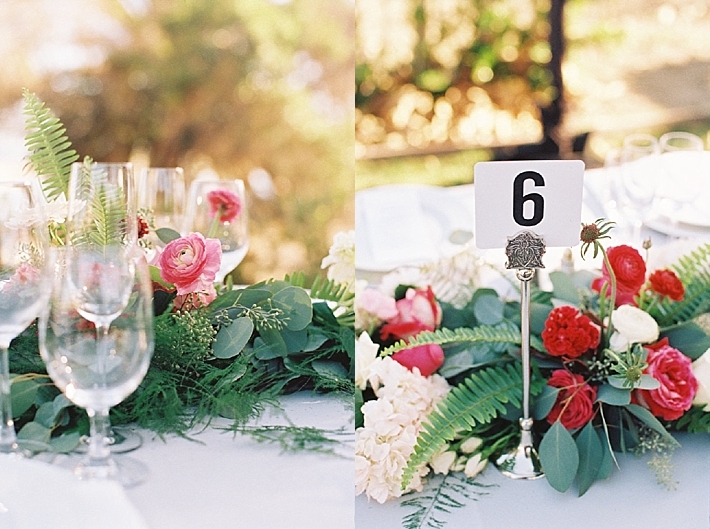 Their Malibu "I Do" was nothing short of gorgeous. 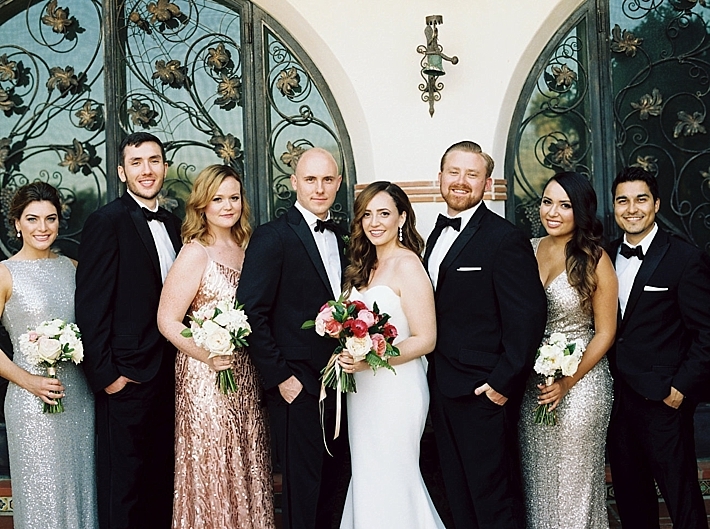 Jennessa choose a classic and modern Ramona Keveza Collection dress paired with a Vera Wang veil and gorgeously complimented by her bridesmaids designer metallic gowns. 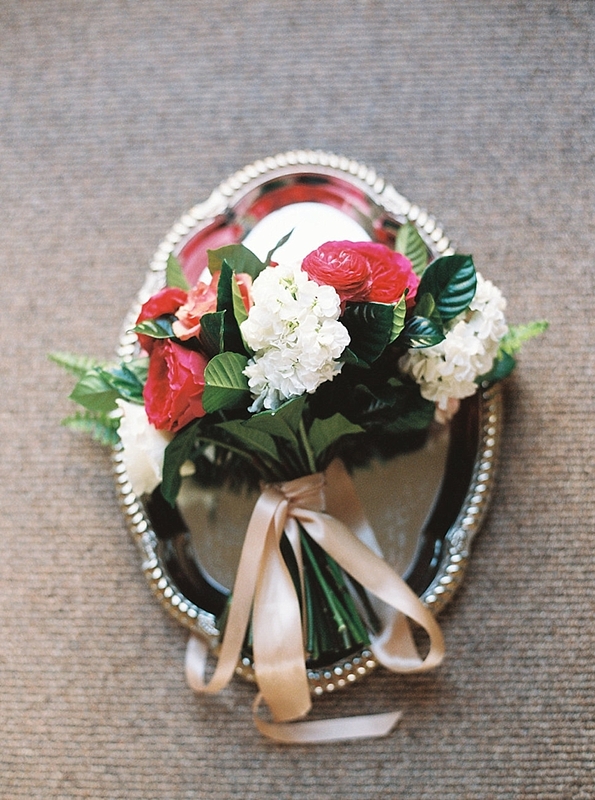 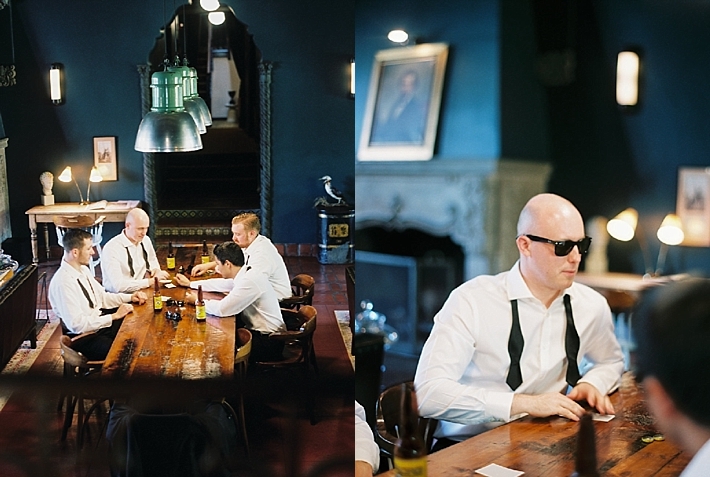 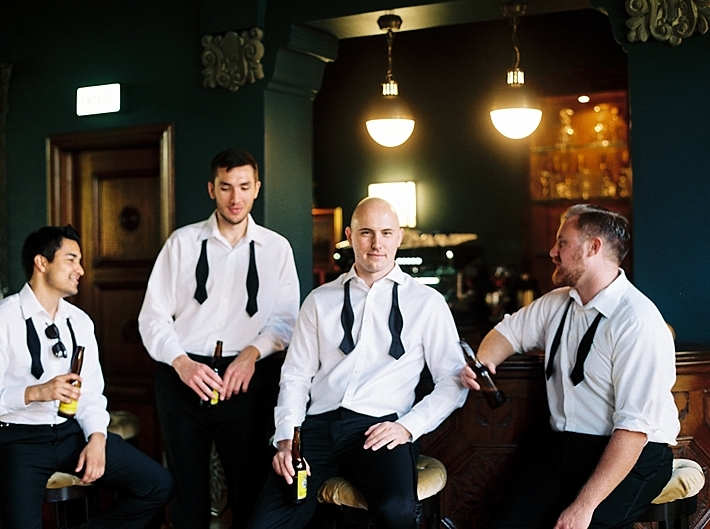 Not to be out done, the groom and groomsmen wore classic black suits and bowties. 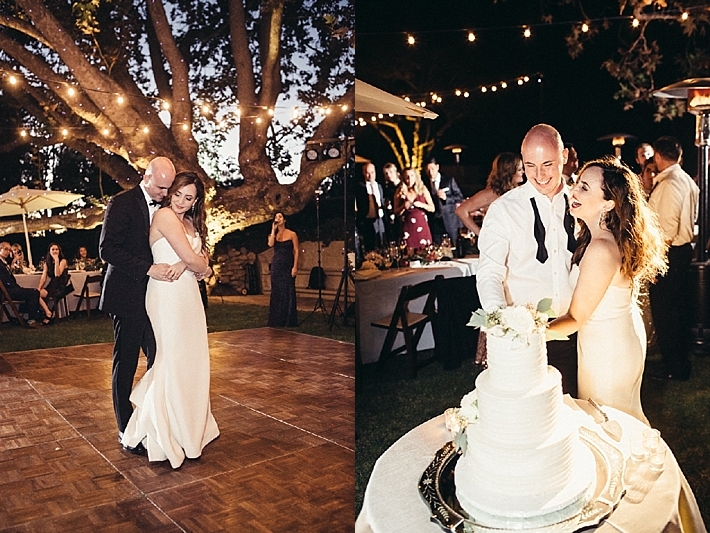 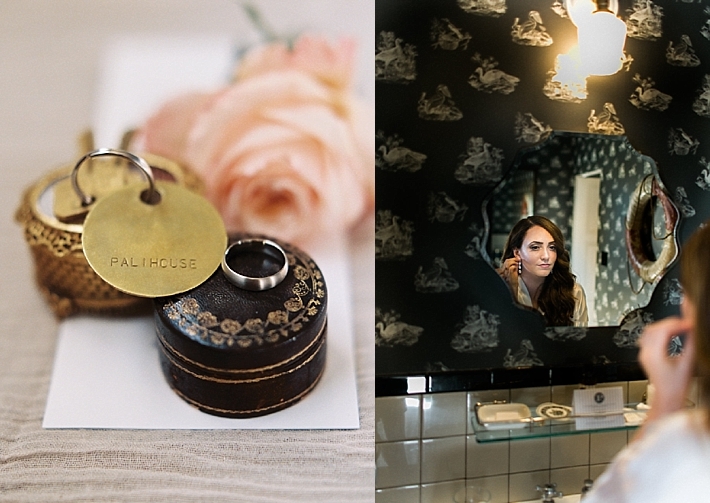 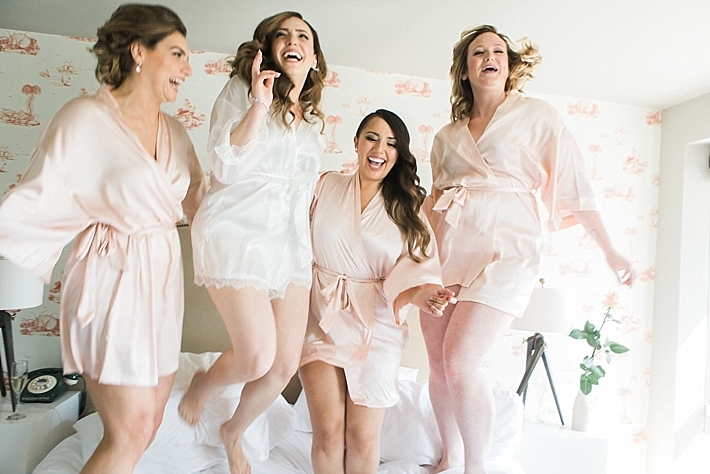 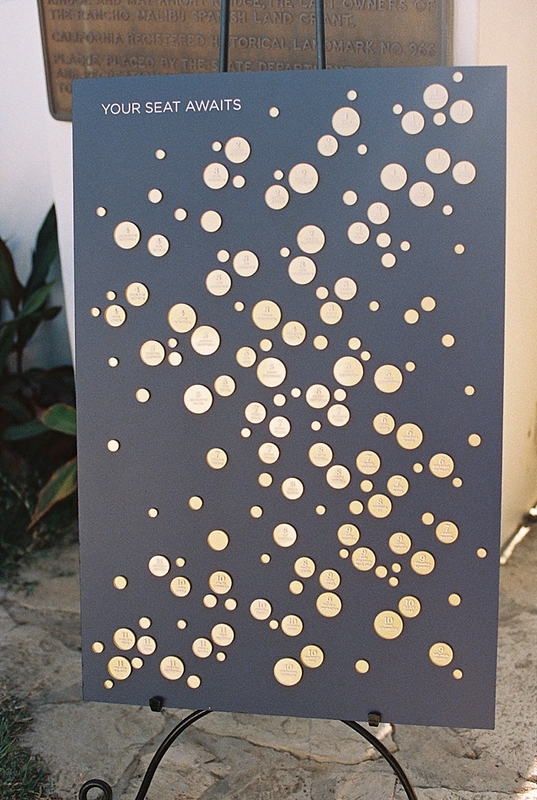 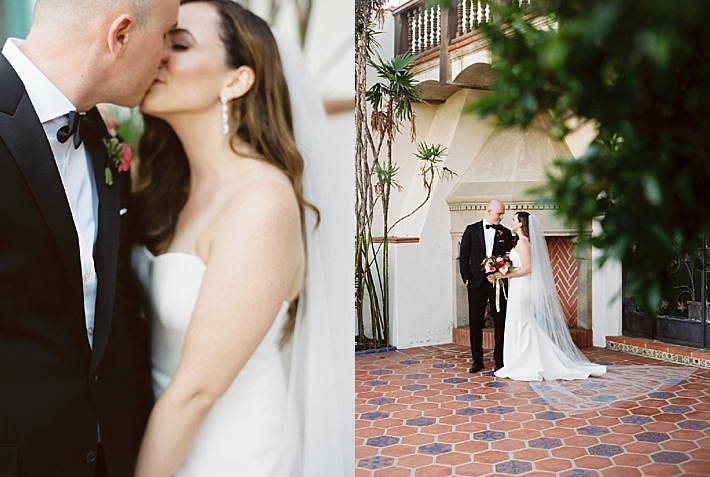 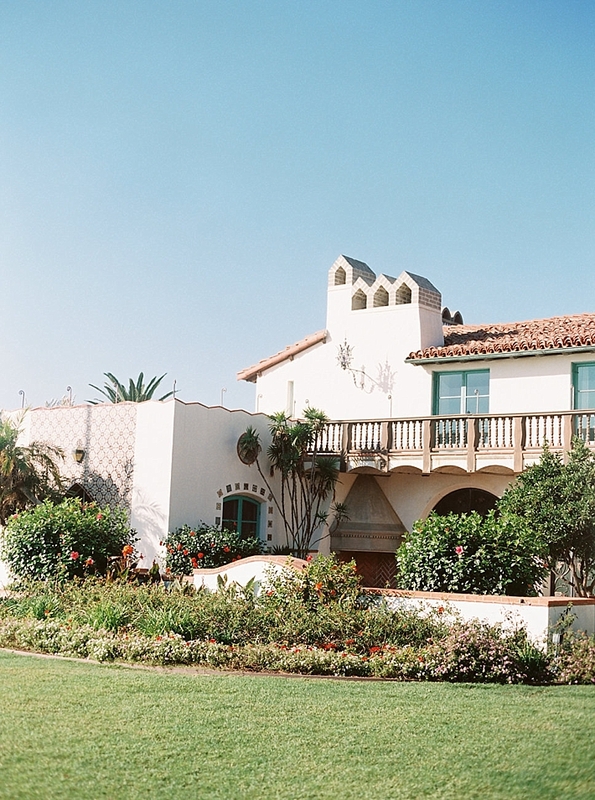 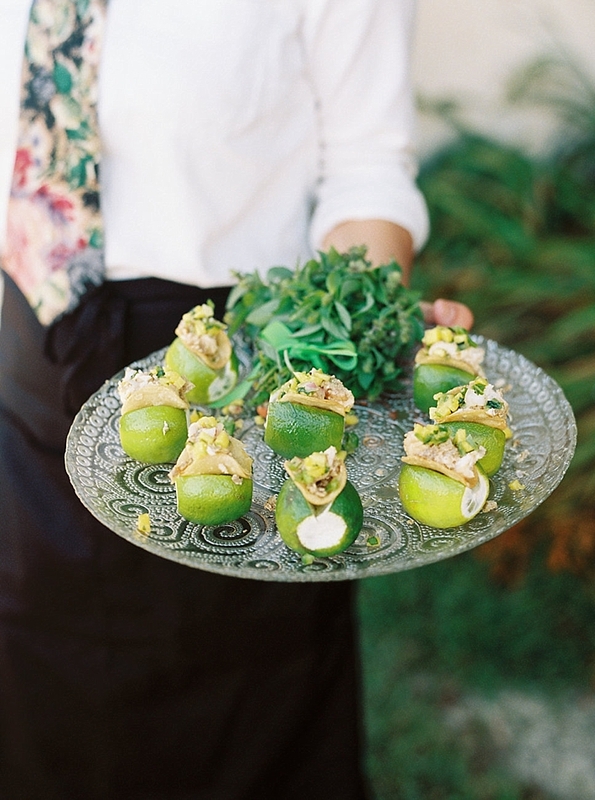 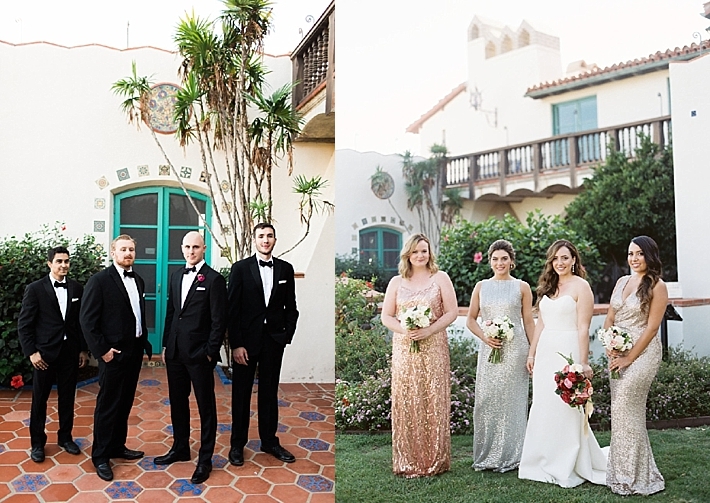 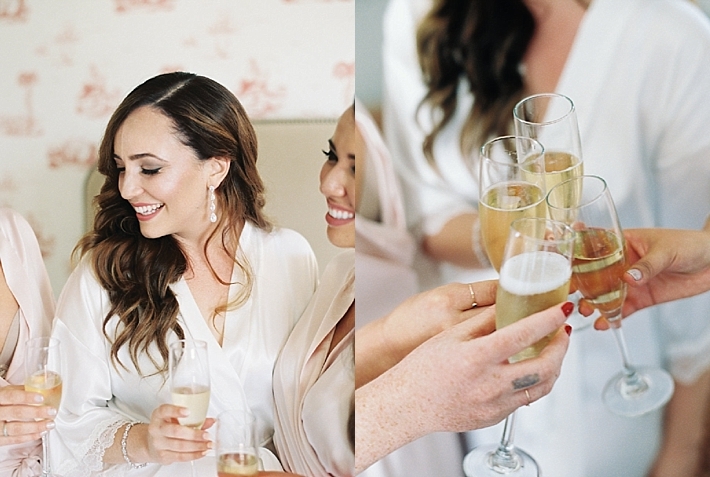 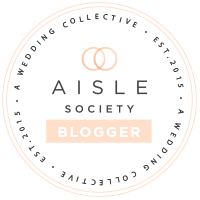 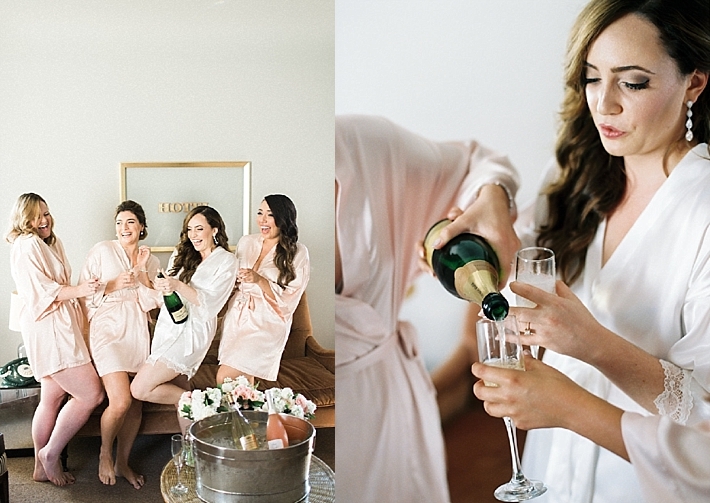 The stylish group were the epitome of California chic with the incredibly architectural Palihouse as their getting ready location, and the sun drenched beach front Adamson House as the final destination for the ceremony and reception.